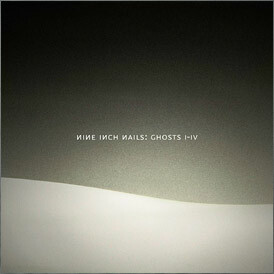 Nine Inch Nails is offering its latest CD, Ghosts I, as a free download from its site. The collection is a teaser to promote their Ghosts I-IV, a new collection of instrumental tracks. The official download requires email registration at the site to get a download link. You can also download the collection officially via BitTorrent. The entire collection can be downloaded for $5, or you can order a $10 2 CD set and other deluxe and limited edition versions. The end result is a wildly varied body of music that we’re able to present to the world in ways the confines of a major record label would never have allowed – from a 100% DRM-free, high-quality download, to the most luxurious physical package we’ve ever created. Reznor previously produced a CD by Saul Williams, The Inevitable Rise and Liberation of NiggyTardust, which was also made available as a free download. Update: NIN has sold out of the $300 super-deluxe editions already. As a long-time NIN fan, this will probably move into my top 3 NIN albums ever. Unfortunately their site suffered the Digg effect yesterday and even though I was using a DL manager, the server crashed and I lost my $5. Any attempts to re-download lets me know I’ve hit the download limit. Any emails to their support have not been returned. Vudu – the whole release is on bittorrent legally. I’m downloading it now – but it says it will be 15 hours! Um, Saul Williams released 4 CDs before Niggy Tardust, made up of full-length releases and EPs. So Trent Reznor specifically did NOT produce his debut CD. Ken – thanks for the feedback; this has been updated.